The latest certified raunchy comedy blockbuster hit in the U.S. (grossing over $100-million) is coming exclusively to rock at Ayala Malls Cinemas (Trinoma, Greenbelt 1) starting this September 27, 2017. 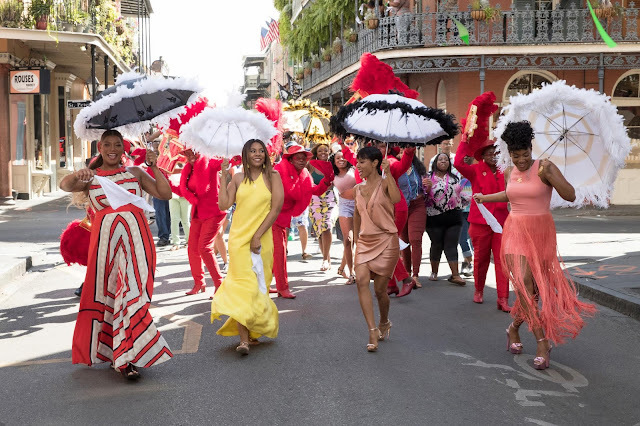 The film we're talking about is "Girls Trip" which follows four lifelong friends as they travel to New Orleans for the annual Essence Festival, where sisterhoods are rekindled, wild sides are rediscovered and there’s enough dancing, drinking, brawling and romancing to make The Big Easy blush. The all-star cast is led by Regina Hall as Ryan Pierce, a successful author at the crossroads in her marriage; Tiffany Haddish as the hotheaded, free-spirited and fiercely loyal Dina; Jada Pinkett Smith as Lisa Cooper, a conservative nurse and mother of two children who desperately needs a weekend getaway; and Queen Latifah as Sasha Franklin, a gossip blogger who is circling a life reset of her own. The film also co-stars an array of talented supporting cast, including Larenz Tate as Julian Stevens; Kofi Siriboe as Malik; Mike Colter as Stewart Pierce; Kate Walsh as Elizabeth Davelli; and Deborah Ayorinde as Simone. 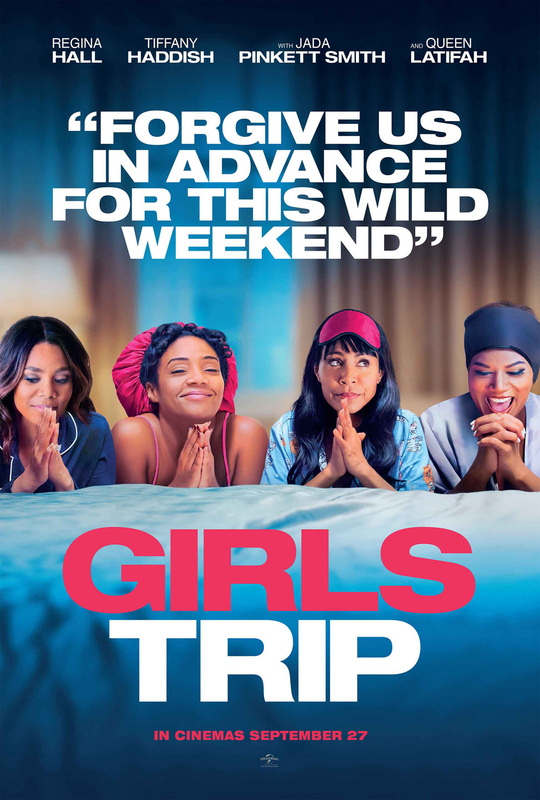 "Girls Trip" is distributed by United International Pictures through Columbia Pictures.